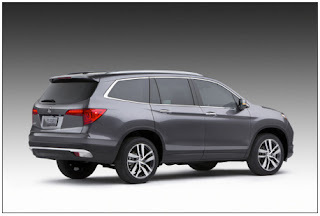 That’s why it makes sense that safety is such a massive concern when Parents magazine and Edmunds.com work together to compile their list of “10 Best Family Cars” every year, and here at Pacific Honda we were very pleased to see that both the 2016 Honda Pilot and the completely-redesigned 2016 Honda Civic were among those vehicles honored this time around. Both models come with the Honda Sensing suite of advanced safety features, which can include all sorts of great things, including frontal collision prevention. That feature, along with elite crash test scores, is a primary criteria for the Insurance Institute of Highway Safety designating a vehicle as a Top Safety Pick+, and of course both the new Honda Pilot and the new Honda Civic earned the “+” this year. They both also earned top five-star ratings from the federal government’s NHTSA, solidifying the fact that they really are some of the safest vehicles in existence at the moment. Of course, safety isn’t everything in terms of being named an elite family vehicle. Both models are spacious compared to the competition in their respective segments, and both come with a number of great technologies and other amenities that make riding in one as entertaining and comfortable as possible. As your Honda dealership serving Poway, we look forward to helping great families get behind the wheels of these and other excellent Honda automobiles, so stop by our facility any time and test drive a new Honda Pilot or Honda Civic today! Gorgeous looking car, thanks for the share!